Have you or a loved one been attacked by someone else’s dog? If so, then you are entitled to legal compensation for the pain and suffering you have endured. Dog bites can come with serious and often permanent damage. Many dog bites will require surgery and can cause permanent scarring and disfigurement. Regardless of why the dog has decided to attack, it is important that your injury is seen to by a personal injury lawyer as well as a doctor. The reason is because you could be eligible for compensation under the premise liability act.Contact our team of experienced Minnesota injury attorneys today at (612) 465-0320. Have you ever heard the phrase, ‘there is no such thing as a bad dog, just bad dog owners?’ Whether or not you choose to believe this, there is some truth behind it. After all, if you have been bitten by a dog, then, essentially, it is the fault of the owner. The owner has the legal responsibility to keep his pet under control and any attack or injuries sustained by others are caused by his neglect. Dog bite incidents often occur when you least expect it. If your child, for example, has seen a dog and tried to pet it, then he could be met with a bite. Dog bites in Minnesota are handled under the Minnesota Statutes Section 347.22. Under the law the victim of the dog bite is entitled to damages from the dog owner if “a dog, without provocation, attacks or injures any person who is acting peaceably in any place where the person may lawfully be.” The dog bite law also states that the owner of the dog is responsible if the bite occurred due to negligence. 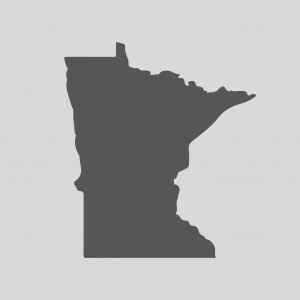 Under the Minnesota law, if proving negligence, then the victim must prove that the dog has bitten before and that the owner knew this (the one bite rule). Whether you have been bitten on the street, at someone’s property or outside a shopping center, it is important that you speak to an attorney. Every case is different and it is hard to determine whether you are entitled to compensation and whether the owner is liable for your injuries unless you have spoken to an expert in Minnesota law. This is not something that you should have to investigate on your own, especially when we provide aggressive research and case analysis free of charge. If you have faced the devastation of a dog bite injury then you do have legal rights. Our team of injury attorneys work under the no-win-no-fee guarantee which means you will have no legal fees to pay unless you win your case. Speaking to an attorney will be free of charge and can often provide you with the closure you need to move ahead as well as the confidence you need to put in a claim. Our attorneys are available anytime you need us. Contact us today at (612) 465-0320.